My eye is bouncing back and forth between the two Marilyn pictures. I'm guessing the scale of the red one is quite large? 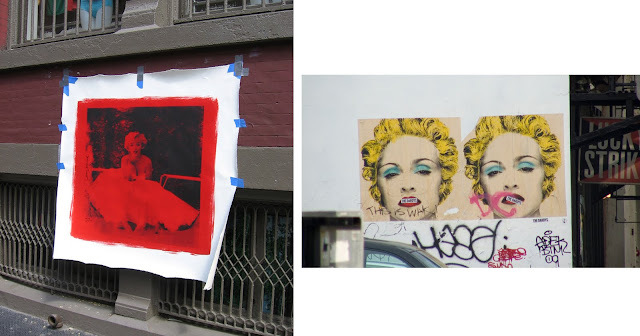 And the Marilyn on the right looks like it has been screened directly onto the building, yes? I can't say I find wither woman attractive but certainly an archetype, don't you think?